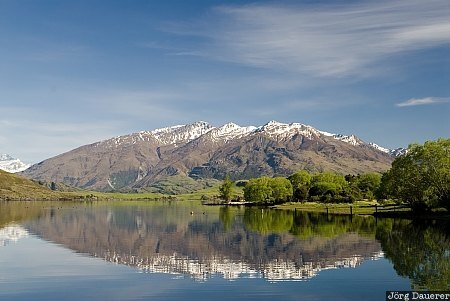 Soft morning light illuminates the mountains of the southern alps and their perfect reflexion in the calm waters of Lake Wanaka, Otago, on the south island of New Zealand. This photo was taken in the morning of a sunny day in November of 2008. This photo was taken with a digital camera.